Every little girl will be delighted to carry this adorable girly hot pink quilted backpack to dance class with her personal name monogrammed on the tote. Quality constructed, lined with two outside pockets and adjustable padded web backpack straps. Appliqued with a dance tutu, bottom has a ruffled ribbon accent. 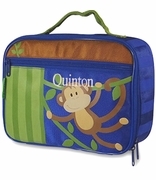 Personalized dance backpack measures 12"H x 10"W x 3" across bottom. One inside wall zipper pocket and zip closure.